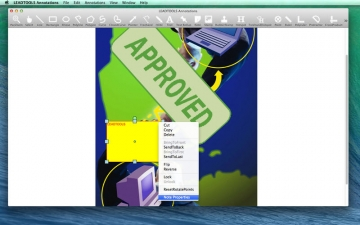 [無料] Annotations App by LEADTOOLS | Mac App Storeのアプリ検索・ランキング BuzzMac! APP FOR DEVELOPERS – see note below. 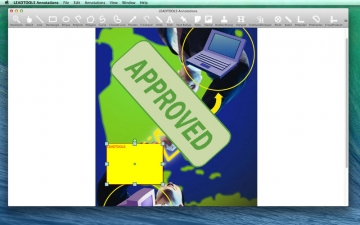 Annotate (mark-up) images and photos without changing the image data using the LEADTOOLS Annotation App. 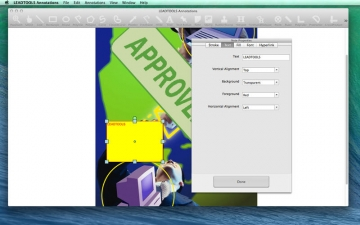 • Broad range of image annotation objects, including note, text, geometric shapes, rulers, audio, and video. • Redaction and encryption objects to protect sensitive information. • LEADTOOLS annotations can be stored as an external annotation XML file to be loaded later on. • Implement hyperlinks for every object. Popular uses for hyperlinks include user defined messages, programs to run, or jumps to web pages. • Perform the following operations on a single object or group of objects: Scale, Translate, Rotate, Flip, and Reverse.